Just remember your intent creates your reality. But I have to give a "lol" to the superhero/angelic wing comment. You manifest into what they need to see. Many times you are delving into their own personal hell. They don't even know or realize why they are stuck. It's your job to find a way to help them "choose" for themselves that they need to move on. You can't do that for them. They aren't looking for a Angel or superhero. You can morph into any form you wish, but normally that form is something that was pertinent to their physical life in this reality here. It sounds like you are primed for the "duty" Now it's on to the next step! You already have the intent, now comes the practice. RM, please.....Total bovine excrement.............there is no stuck souls, and I know for fact lies, and more lies, and fakers wanting to belong. There is no places, no people there, anyone says they helped people get to other side are full of chit. Maybe a dream or something, cause I been to RM and there is nothing there, but people to scam you out your money............Sorry, you may be able to obe from teachings, but everything else is total BS, and I will confront anyone that claims different. This guy really pisses me off, he may of had an OBE, but the rest is bull, or dream worlds created. For one no one talks about the most obvious feature when you OBE and can see the "real" world, or how they just somehow never had to learn how to move around, never scared of leaving body and can never actually help you, besides say goto RM place, hoping it would work for you, plus your thousands of dollars -_- It just not like something you can just do automatically, because you read a book. ...and what is this RM? Do you mean the Monroe Institute? I've never been and I purchased and read his book "after" my adventures in this area. This was one of the first experiences in this area I had every had and at the time I was new to Astral Projection period and wasn't familiar with Robert Monroe at all. Just look at my opening line back in 2012 "This topic will be just for Retrievals. I haven't had the chance to read Bruce Moen's or the Monroe Institutes's information on them. " I have found that for some reason that some people think that just because they haven't experienced something that it means it doesn't exist. You can post all of your OBEs and I am sure that you have experienced many things I haven't as well. That is the reason that I stopped posting my adventures on Forums, (I have Journals filled with them though), because some people tried to imitate them and compare them to their own. When they didn't match up they got angry like yourself. We see what we need to see when we need to see it. My first goal/intent (still is today), in this practice was always to use what I was seeing and being taught to help others, no matter where those "others" may be. Through reading, videos and personal emails with Kurt Leland, I found that it is called "Invisible Helpers" and it was the name that was penned way before Robert Monroe by a woman named Annie Bessant back at the end of the 1800's. Both of these videos will help you understand her theories and they are "FREE". What is your intent for "non ordinary states of consciousness"? Why do you do it? Your intent will open the doors to your experiences. Well, I hope that if one day you need help (here or there, no difference) that someone will be kind enough to help you, like most of us here provide help for others. 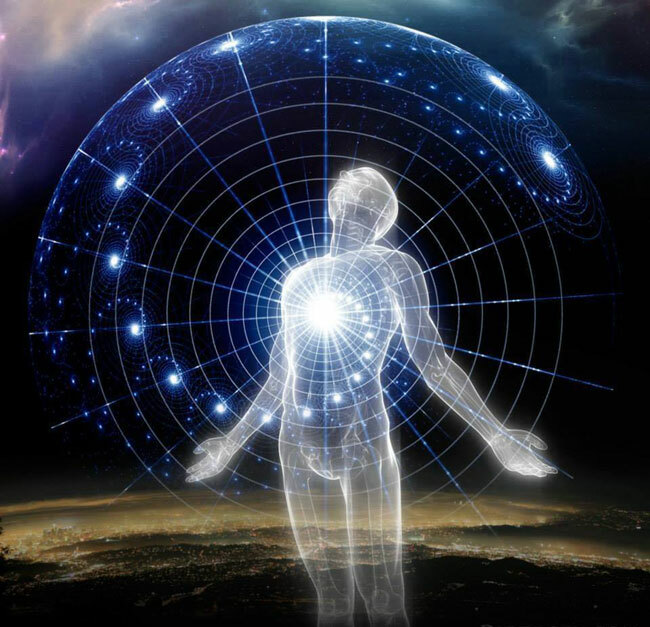 Consciousness on all levels interact all the time. It's been awhile now since this thread has been posted in. Last night I did/underwent a Retrieval experience, that is definitely unique enough to post in this thread. A few months ago I told a few members here, one by phone, the other by email about a LD experience I had that had me, what felt like, in some kind of "job interview" in a actual Center for Retrieval. I found that this Center was the inside of the Cathedral like, white building, that I found myself at, right at the end of a Retrieval. I would normally bring or accompany the "Retrievee" to the steps and that's as far as I was allowed to go. Then the experience would end. In that experience I saw the purpose of the Center. That it was there for some of the most extreme cases. I also saw it was a place of terror. Each room became a "Simulation Chamber" of sorts for whoever was in it. This was where they were stuck in their own personal Hell. I was shown that when the "Aide" entered, they could join the Retrievee's hellish experience and work towards helping them. They could alter the scene at will. But, as soon as they left the room, the room would morph back to the Retrievee's hell once again. It was really extreme. Then I was shown the "Aide's" life. Outside of this Center, it was paradise. They had everything at their disposal. But, they had to fulfill their duty in that Center to receive this. I was also shown that there is indeed a "changing of the Guard" on the other side. Just like we evolve, so do they, so spots are needed to be filled all the time. The last thing I saw there was I was taken to some kind of conference room and I was asked if I was willing to ..., before they were finished with words, I accepted. Since then, it has been quiet on the "Retrieval" side for me. Even my LDs have been, for the most part, uneventful. Until last night that is. I become aware I am in some Hotel. I find soon that I am in Hawaii and am just getting ready to fly back home. When I was younger, in my 20s, I lived in Hawaii for 5 years. I find out my flight isn't going to be fore 7 hours from now. But I am checking out of the Hotel and have nothing to do. A few "Maids" there, one male, one female see my dilemma and offer me a room in the Hotel to stay until it's time for my flight. I go to the room. It's a very nice, posh, large suite. We sit down and start chatting and all of a sudden I hear the door behind me open and there is a very frail elderly lady walking towards us. She waves, goes into the kitchen area, then back into the bedroom. This shocks me. I never knew we were in a "occupied" room. But the Maids don't even give it a thought. I feel the need to use the bathroom. I walk to the bathroom door, open it and all of a sudden realize it is my "physical" self that needs to use the bathroom, lol. So, I wake up, use the bathroom, go back to bed, mentally click "play, as in let's start where we left off. Somewhere along the line I become aware again. Now I am in the same room, but there is party going on. There is loud music, people, heavy drinking. Yes, it's definitely a party. Then I see that frail lady again. She leaves her room, goes into the kitchen area, then back to her room again. She waves to everyone, but again, nobody but me pays attention to her. This really has me curious now. I walk into the bedroom and begin chatting with her. She is a great lady, funny, fun loving, that is until I brought up the idea of death. She was terrified of death. It then hit me, that the "Maids" were "Aides" leading me to a Retrieval and I was in a "Simulation Chamber". I sat there with the lady and tried to find out how I could build up the idea of a "Heaven" to her. To find a way to show her a new way of thinking. In a Retrieval, you have everything at your disposal to aid you in your task. But, you can't "decide/choose" for them. They must be the ones that decide to move on. I would attempt to help her and when I did, her "physical" image began to fade. But then I had a "click in"/click out" and when I returned back, I saw that she was full form again. I experience many cut-ins to the scenario, whereas I see, that this failed and that failed. But then the idea comes to me. Why not show her how to Astral Project? I then started down that road. The first thing I used was from Bruce Moen's 14 minute video (Thank You Bruce), where he his describing his "imagination with a deceased person" technique. It is very good. I have to thank another Member of Astral Forum for that share. Thanks Bee! So, we started with imagination with some of her own deceased friends. She was enjoying this. They were showing her a view of their "Heaven". Finally after what seemed like many sessions, we hit success. She finally disappeared and just as she did the scene went incredibly bright white. It was so bright, that it overloaded my senses and I woke up. I put it all together once I had awoken. Even though I was deeply in a Retrieval scenario. I still had the thought, that I had likely missed my flight. But I also consciously knew, where I was and what was going on. Like I said, this is the first time I have had a successful Retrieval, since I had my "Interview". I did post here a few weeks ago about a situation I found myself in that may or may not have been a Retrieval, It was rather disturbing though and I didn't "consciously" see that one all the way to the end. I always enjoy reading experiences in this thread. Lumaza, it looks like you are now on the payroll! Hope to see more posts in the future. Please keep us updated with new successfully done assignments in your new official retrieval career. A few months ago I was asked by a lady in the non-physical when I wanted to go to somewhere else (from the Void) if I didn't want to 'do some care' first. I was confused because I had not expected a voice talking to me at that point and did not get what she wanted. Only later it occurred to me that she might have been an aide/retriever from the other side and might have meant doing retrieval work with her (as her aid from the physical side I assume). I then later offered help and called out to retrievers by setting intent for retrievals. But nothing came out of it. Seems they don't let me even try. Then I had other targets again and forgot about it again. Now you remind me again. They always hear us. It's just they don't answer us in the way we would "expect" and as timely as we would like. Time has no relevance there, so they are in no rush. Humans, we rush everything. That seems to be the problem with many people not finding success with this whole practice, Astral Projection in general. They want results "yesterday" and that's not the way it works. Nice upgrade Lumaza, if you proceed further into this you'll need to be ready to join with the mind of the patient. This takes a massive understanding of everything they're feeling and you'll see more of the dilemma. At times they need the equivalent of the physical world 'slap' to wake them up so the personality within can resurface. You'll understand this immediately and instinct tells you what to do. It can be a emotional strain too at first on yourself but being so NP aware you'll know when to switch off this connection or the scenario becomes a fail. This side of it is inherent, it's like that old days feeling of waking from a nightmare. It always passes and you really do learn the hard way as I found many times. It's definitely an upgrade though and well deserved. If it was put in physical world terms you could say 'a nine volt battery is harmless by itself', ( this being the typical retrievals emotional side), however, if you connect a thousand of them correctly then 'its a different story by far', ( this becomes comparable to a nightmare situation where your control is very limited but you do have everything at your disposal). Mindset is key and staying grounded will be easy for you. you're entering a new world where what you do matters. This is great fun as there's never a situation you can't handle. After a few years they'll be fast paced and seem almost impossible at times. That said, you need to stop and think again then the answer appears and you get busy once again. I hope you get the calling soon. You'll not look back and realise the rtz is a kindergarten lol. It has toned down to a "unconscious" thing now. Once in awhile I will become aware that I am in a "Retrieval", but now it has become the "new normal". I find "Mindset" is the key to achieve success in the practice of NP exploration itself. You need to be a good "Observer" as well. I am just beginning to embark on what I think may turn out to be a multi, many night Retrieval event. It began a few days ago. I saw a man in prison. He was a very large man and was in prison for being a Serial killer. What I saw and drew from him was he was "evil incarnate" itself. I was then told 100 days. The next thing I know, I am being arrested. I was being arrested for being a "Illegal Alien". I kind of laughed at that. I guess that was showing I was foreign to this realm. I didn't laugh for long though. Things got real quick. My trial came and went and I was sentenced to 100 days in jail before being deported. I guess they meant banished or the scenario would come to a close. Soon I found myself in prison. It was the prison that the Serial killer was in as well. Even though days were passing by, I was still shown a marker for each actual night I had the experience. In other words, I have been having it for two nights and now the marker, countdown is down to 98. It doesn't seem to matter how much time I spend in the simulation itself. The good thing is, my pain meter, sense of pain has been turned off. That was a blessing when I received my first "welcome pummelings" at the hands of some other inmates. I would just close my eyes and meditate while they beat on me. Soon word spread about my "meditative focus". That was good and bad. Bad because some other inmates wanted to see it first hand for themselves, which meant more beatings. Good because "everyone" had noticed this, even the Serial killer, which it seems is my task for Retrieval. After the pummelings, I could tell I was beaten. Sometimes I was viewing through swollen eyes. But like I said, I could feel no pain, thankfully, lol. One thing that I found really weird is that I had a body, obviously, but I wasn't permitted to see my face. Every attempt I made to view my image was somehow blocked. I could see I had large hands and big body. My skin was really hairy as well. Kind of like that of a European culture. I even tried to look at my reflection in various things like windows and spoons, etc., but nothing worked. Last night, I was finally noticed by the Serial killer. He was in the yard, surrounded by guards, as usual and he looked over at me and acknowledged my presence. So, I guess now I have 97 more nights to get the job done. I have a feeling that is going to be my greatest challenge yet. I wonder if I will be consciously aware for the 97 nights. My intent and affirmations are to be. But that is quite a while to have a run like that. This man was a "savage" as savage as they come. The first part of this whole simulation began with me viewing a brief rundown of his history and though it was brief, I still saw enough for me. Never seen the show. I try to limit the amount of violence I watch. The Stanley Cup Playoffs seem to b about the extent of violence I now view on TV. I am more abut the History and Science channels than anything. I was kind of thinking it would make a good movie plot as well. I am sure many of the famous Directors were putting pen to paper on their own personal Dream simulations as well. Fingers crossed that it doesn't go the whole 100 days. This is where you'll find if his psyche is a reaction to his early life traumas or worse, that he is all bad. I hope it's not the latter, this would be a tad difficult to resolve lol. It's within your powers to solve this, you can create anything that's required at any time. This is worth remembering as it may be very useful later. Thanks for the reply Szaxx! Unfortunately, this guy is bad to the bone. I haven't been consciously aware in every nightly episode. But the ones I have show that I am seeing his life from the beginning, starting at his childhood. I think he may have a number of lives whereas he was "bad to the bone" and it is just passing on to this one too. When I get back to real time, meaning the present, I am going to attempt to teach him to meditate. We will see where that leads him. He is very intelligent. He reminds me of a Hannibal Lecter type of character. He seems as intrigued by me, as I am of him. Wow, reads fascinating. So you go there every night now, and that for still over 90 times to help this guy? Keep us updated on developments and progress. Curious, what did you mean with that big-handed hairy "European culture"? Some cavemen or what? Just saying that we shave here in Europe too and my hands are not big either. Or did you mean some ancient 'savage' cavemen? So in the last year, in an effort to kick-start my NP learning, I did something I have wanted to do for 30 plus years and that was to attend some courses at The Monroe Institute (TMI) near Charlottesville, Virginia, USA. The core courses are 5 day/6 night commitments where you live there and are fully immersed within the Hemi-Sync sessions and briefings/de-briefings/discussions with a like-minded group that begins as strangers and six days later disbands as friends having shared a unique and rewarding experience. I cannot recommend it in strong enough terms. To begin with, the energy of the place after 40 plus years is incredible and the immersive environment is strongly conducive to nearly anyone having the opportunity for significant and rewarding experiences. The first course is Gateway, followed by a choice of either Guidelines or Lifeline. Lifeline deals with retrievals and navigating through the Afterlife and so I chose that as my second course, that concept having always had a special interest to me. Over 50 plus years, I think that I have done a few retrievals within nearly unconscious dream contexts, and a few definite simulations over the last several years; but the process still felt somehow incomplete and a bit frustrating for me, so I wanted to try something new. Now I must admit that I have used the Gateway Hemi Sync tapes since 1995, the CDs since 2005, and honestly not gotten much from them. Yes, some patterning and some problem-solving sessions seemed to produce results, but I never felt as if I was getting deep enough for the results I was seeking. In retrospect I think I was wrong and wasn't looking at the process the way I needed to; but that's me; don't let my experience scare you off of these products because many people find huge benefits from them. Consequently, my first time at TMI for the Gateway program, I didn't get much in the way of experiences, though many did. I did have a wonderful and fulfilling time sharing with all the other participants and would return, if not just for that, it was so good. Lifeline started off much the same way for me. It was a smaller but much more experienced NP group; many of these people had OBE experience under their belt and a few participants were quite talented. I came there with guarded expectations but still felt a certain level of 'performance anxiety'. The first full day of sessions included instructions to recognize certain states or to introduce/meet with guides...I got none of that. All I experienced was multiple color tours through mostly purple and violet with splashes and streaks of red, yellow, orange and green; nothing of the visuals I was hoping for nor expecting. Plus I hadn't slept a minute the first night. At lunch I expressed my frustration to one of the trainers and she suggested that I was being pushed to learn all this from an 'energetic' sense. She added the idea that purple often involved healing. Those ideas actually resonated with me and I determined to go with the flow of whatever presented itself. The final session that night I found myself again in the purple/violet colors but this time they resolved into a visual of a purple ocean. I looked for land, but could find none and finally decided to just dive into the purple ocean where I swam for awhile. The next day was much the same with tours through purple and violet energies. Did not sleep that night either; I was completely exhausted. Again, late in the day, I found myself at a purple landscape and ocean so again I took the plunge and rocketed through the depths like a supersonic dolphin. I wasn't happy about my results but at least I had gotten something. One of the last sessions was an intro to F22 which touches on some possibly hellish regions. That was for me, an epic tour of a purple hellish landscape of lost and tormented souls, an incredible surreal visual that finally punctuated my earlier color tours. That was powerful. By the third day I had slept a few hours, was somewhat recovered. Today we were to attempt our first retrieval. My expectations were at rock bottom; I had zero confidence. The first few sessions were designed to take us to Focus 27, familiarize ourselves with the Park, the Reception Center and the Healing and Rejuvenation Center. I got nearly nothing from that: maybe some vague, what felt like self-generated imaginings of souls moving into and through these areas...and then just more purple color tours. I understood the idea of kick-starting the process, priming the pump with a little imagination but it just felt incomplete, I wasn't trusting any of the feedback I was getting. In this latest session, we were to move to 27, obtain the assistance of a guide and move down to F23 to look for and assist any stuck souls that grabbed our NP attention. Yeah, I didn't feel too confident about accomplishing that. So I went to 27, or what felt to me like 27. I asked around for guidance and felt nothing in response. So I said 'to hell with it' and dove down anyway to what I felt was 23. I was back in colors and swimming around through what were now energies I had known for a few days. It took a couple minutes but I felt 'something'. It was a new color, a new energy, a different feel. And I 'knew' it was in need of help. And then something like a pop-up window on a computer screen appeared for me. It was just a small visual screen set within my focus and it only lasted maybe five seconds. It was a modern day soldier, American I think but am not sure. He was leading a squad in line-ahead and they were suddenly hit with automatic gunfire and all went to the ground. And the visual was gone. I 'knew' he had been hit and killed by 4 or 5 bullets. But I was back swimming in energy. Then the visual screen opened again, maybe for another five seconds. I was standing over him and he was looking up at me with the realization that I was unconcerned about the suppressive fire going on and he was likely already dead. He says to me, "It happens that quickly?" And instinctively I respond to him, "Yeah, it can happen that quickly." The visual fades. When the visual comes in again, I reach out my hand and he takes it and I help him to his feet. I say to him, "It's alright now, we can go. I'm going to take you to a place where this can all get sorted out." He holds on tight as we lift into the air and the transition to 27 is much quicker than I thought it would be, maybe just two or three seconds. I am back to sensing only energies there and as I let him go it is in the midst of several very bright and white cloud-forms of energy and I know everything is good. So that was my first retrieval at Lifeline. There were several others. All very different and unexpected. It might be of interest that a later session in the day involved each of us going to 27 and entering the Healing and Rejuvenation Center to ask for our own individual healing. Again, I found this a bit difficult to visualize so I finally re-imagined some old friends to help me- the young man and woman attendants from my Back to School adventure. They actually appeared quite readily and asked "How can we help you now?" I asked for some healing and they marched me down a hallway and handed me off to another guy who took me into an examination room. He asked what he could do for me and I said that I probably could use some healing on many levels. Just use your best judgment I said. He looked at me and said, "What do you think all the violet was about?" Nice experience at TMI. I live far away from there in Europe from the USA and it would be costly for me to try it lol. I also tried many reachable tracks what are on the internet but the only effects was calmness and similars, despite that I did the mind work. That purple energy is interesting, while I've read your story through, got the impression that maybe I would get something similar after not experiencing what others do and our expectations are quite as the same as others', like "but why I don't get what they are?". Something like that. I had the impressions when you got only those energy stuff that guides are doing what suits you. For us, it is not obvious why this and that happens that way but after when you ask back on a reinforcement, you almost laugh, like lol it was "that"? I mean you got the help and training but never guessed why or what is it. I don't have so much experience maybe like you but I've learned about non-physical friends and some parallel selves that they (we) are completely different from regular people having all the experiences which we can read, hear and see. We can call it uniqueness. I guess I could be in the exact same frustration at TMI as I don't get the expected signposts or experiences until it turns out that I've got what was necessary the whole time after I ask back haha. In the end, it worths it. It took me years through my conscious sleep life to uncover the categories for myself what "they" are doing behind the scenes (and me) and why my experiences are like that and I guess I will uncover all after 5-10 years too. Very tiring leading a diary each day if I intend for the experiences and I live up days through the night in the NP. But I enjoy even the bad. I guess it takes even a physical lifetime. We get those signs or trainings and many times we just miss the whole meaning. Maybe the difficulty comes from this stupid civilizational programming and brainwashing from childhood and we need to "unlearn" the most. Wow, EV, that was a cool experience with Lifeline. I myself start or resume the process of retrievals myself now and I had my first one with drowned children recently although it was a bit more 'bizarre' for me. I wish I could also attend a seminar at the TMI, but it is too costly and too far away for me. I see violet during meditation sometimes and also when I was in a healing situation from another healer, then the violet dots or clouds moved from up to down or left to right. So yes, it possibly is also about healing. Wish Lumaza, our retrieval expert and thread starter, was still here and comment but it seems he has again taken a longer time-out? How exciting, EV! And great results from the sessions. You offered help to someone and you have received help from your guides. I hope this experience will accelerate your AP frequency. 20 years ago I also wanted to attend these courses, but at that time I couldn't afford it. Eventually I learned myself and now although I can afford it, I don't need it. But out of curiosity and to socialize with other explorers I may sign up for the program.